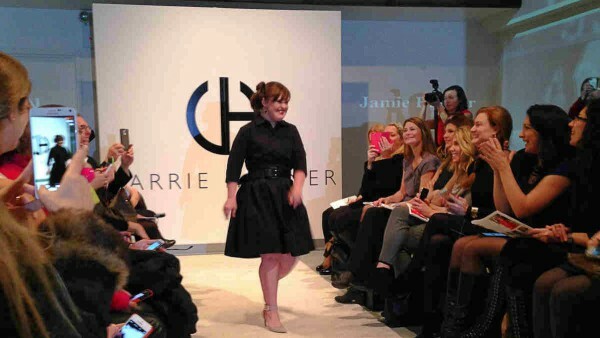 “American Horror Story” actress Jamie Brewer made history last Thursday when she became the first woman with Down syndrome to walk the New York Fashion Week runway. Showing off an original design by Carrie Hammer, a black V-neck dress inspired by “American Horror Story,” Brewer was part of Hammer’s “Role Models Not Runway Models” campaign, which Hammer created a year ago in the hopes of representing the real women who bought her designs. After hundreds of women thanked her for the diversity shown at last year’s Fashion Week, Hammer told Today Style that she got an email from a woman whose daughter had Down syndrome, asking if Hammer would have a role model for her this year. Hammer requested Jamie Brewer. In addition to having three roles on three seasons of “American Horror Story,” Brewer is also an experienced advocate. She was elected at age 19 to the board of the Arc of Texas, an organization that “creates opportunities for all people with intellectual and developmental disabilities to actively participate in their communities and make the choices that affect their lives in a positive manner,” according to its website. She has also worked on the Executive Board for the Arc of Texas and the Governmental Affairs Committee for the State of Texas, where she was the only member with a disability, says Today. Brewer, who was the last model to display one of Hammer’s pieces, told ABC News that if you work to accomplish something, you can achieve it.